The O'Reilly Radar Podcast: Steve Omohundro on AI, cryptocurrencies, and ensuring a safe future for humanity. I met up with Possibility Research president Steve Omohundro at our Bitcoin & the Blockchain Radar Summit to talk about an interesting intersection: artificial intelligence (AI) and blockchain/cryptocurrency technologies. This Radar Podcast episode features our discussion about the role cryptocurrency and blockchain technologies will play in the future of AI, Omohundro’s Self Aware Systems project that aims to ensure intelligent technologies are beneficial for humanity, and his work on the Pebble cryptocurrency. The O'Reilly Radar Podcast: Vitalik Buterin on bitcoin, the blockchain, Ethereum, and the future of money. In this Radar Podcast, I chat with Vitalik Buterin, founder of Ethereum and co-founder of Bitcoin Magazine. We met at our Bitcoin & the Blockchain summit in San Francisco to talk about the disruptive potential of the bitcoin and blockchain technologies. He also outlined some of the problems he’s trying to solve with Ethereum and weighed in on how the use cases of money are going to change over the next 10 to 20 years. 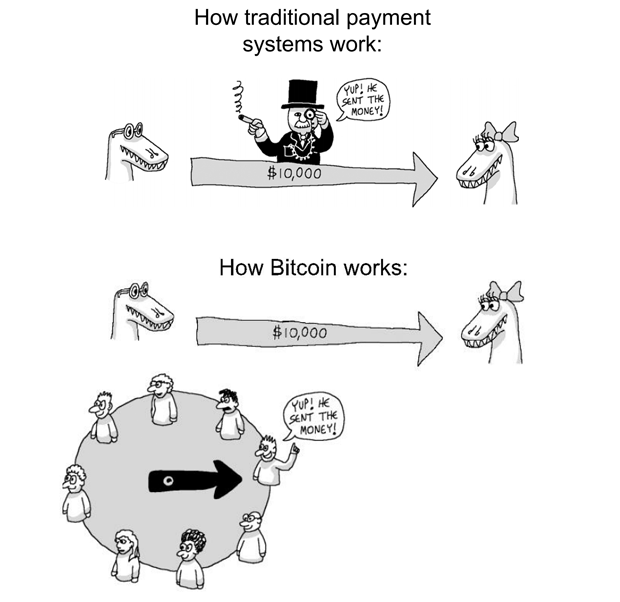 I immediately recognized that the way bitcoin works is the way that money should work. It’s exactly the correct approach, where you have: here’s the address you’re supposed to send to, here’s how much you want to send, here’s the button to send it. It’s money made for the Internet, not like the credit card approach, where you just basically give everyone the details to take as much as they want from your bank account. The O'Reilly Radar Podcast: Mike Belshe on making bitcoin secure and easy enough for the mainstream. In this week’s O’Reilly Radar Podcast episode, I caught up with Mike Belshe, CTO and co-founder of BitGo, a company that has developed a multi-signature wallet that works with bitcoin. Belshe talks about about the security issues addressed by multi-signature wallets, how the technology works, and the challenges in bringing cryptocurrencies mainstream. We also talk about his journey into the bitcoin world, and he chimes in on what money will look like in the future. Belshe will address the topics of security and multi-signature technology at our upcoming Bitcoin & the Blockchain Radar Summit on January 27, 2015, in San Francisco — for more on the program and registration information, visit our Bitcoin & the Blockchain website.